While the eastern part of the country is hunkered down for today’s winter storm, and others are just coming out of the deep freeze, we want to wish you a warm and Happy New Year! 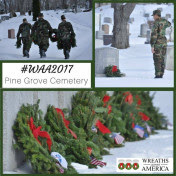 For example, did you know that over the past two weeks since Wreath Day (December 16th), hundreds of volunteers (including our Chairman Wayne Hanson, his wife Ann, and the Worcester family after traveling down from Maine) have been back to the cemeteries, picking up wreaths that were blown over by the winter winds. 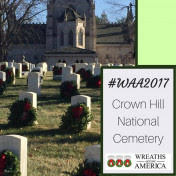 Each wreath was placed again as a reaffirmed sign of respect. 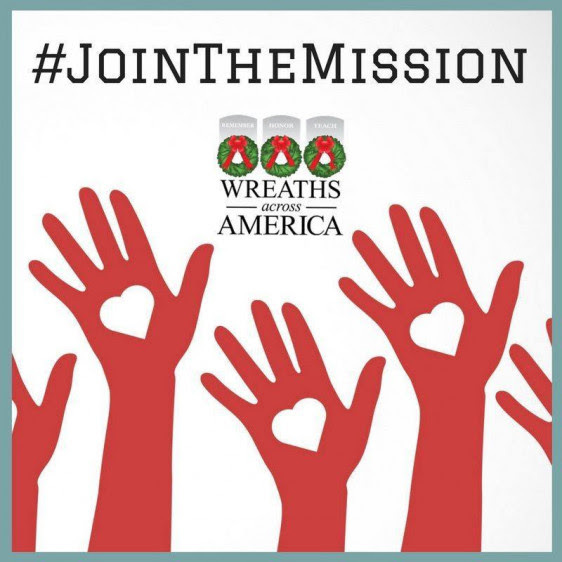 Or maybe you will join the thousands and thousands of volunteers who will go out later this month (see more info below) to help “retire the wreaths” in an effort that is every bit as much about the Mission to Remember, Honor, and Teach. 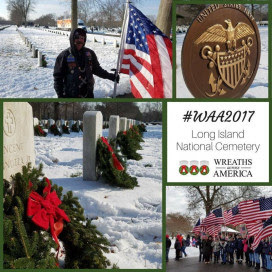 And lastly, perhaps you saw the Wreaths Across America story told on NBC with Lester Holt (see the link below) or dozens of other media stations who captured the stories of our volunteers at locations all across the Nation. 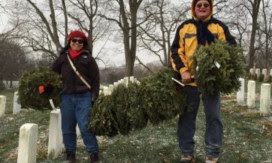 Here’s what you need to know to prepare for wreath clean-up day at ANC. Use This Map To Find Details About Locations Near You. 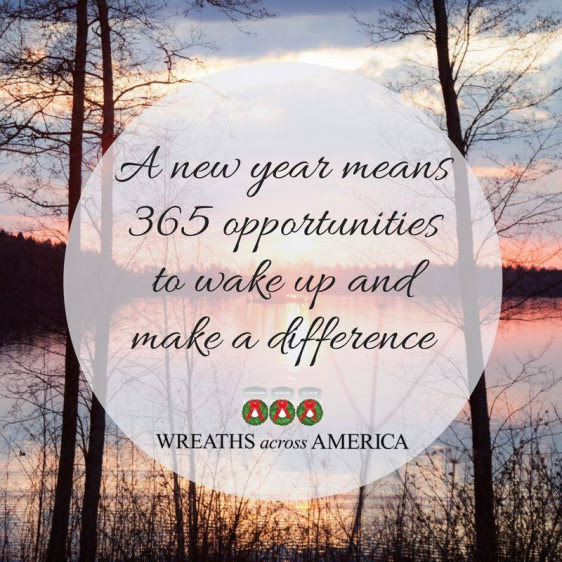 Search over 1,422 locations nationwide. It is never too early to #JoinTheMission. 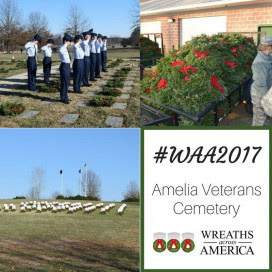 This is a small sampling of the many photos that have continued to be shared with us these past couple of weeks since last weekend’s event at 1,422 locations nationwide. This spontaneous moment the night before National Wreath Day this year illustrated the importance of holding up our troops and their families every day, but particularly during the holidays. 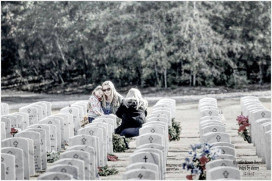 Our military families sacrifice so much and endure such heartache during times of separation and loss. 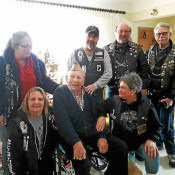 This story of service shared by Schneider’s professional driver David Price, accompanied by Lindsay Lawler and Chris Roberts, was a powerful reminder there are empty seats at thousands of family tables this holiday season. The Convoy Chorus is born! 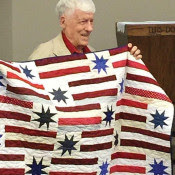 It was a “Great Day” on Dec. 4 as the Betsy Ross Quilting Bee of the Village Quilt Guild presented a Quilt of Valor to John S. Matthews. The storage unit’s corrugated metal door slid upward, revealing 100 square feet of mostly empty space. Not very promising, thought Joe Alosi, a businessman who bid on units, sight unseen, when tenants stopped paying the rent. Did you miss one of our recent newsletters? 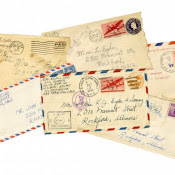 You can see the archive and update your email settings in our Newsletter Central. 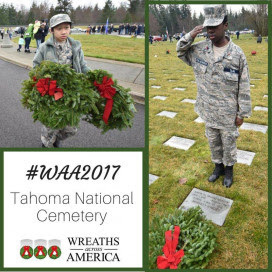 Join us on December 15th (the 3rd Saturday in December), 2018 for National Wreaths Across America Day. Use this map to find a location and sign up to volunteer. Can’t find a location near you? You can start one (adding new locations for 2018)! If you would like to UNSUBSCRIBE from this weekly newsletter, please click on the MANAGE YOUR SUBSCRIPTION link below (just above the “Powered by Ontraport” logo). 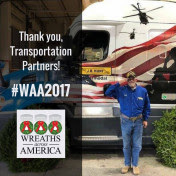 This entry was posted in Wreaths Across America and tagged Wreaths Across America on January 5, 2018 by Michael K. Barbour.